After a successful pilot launch, Campus Causes, a division of Newbridge Marketing Group, is broadening its reach to campuses nationwide to help students raise money for their groups, clubs and teams by shopping online. Thanks to recent merchant signings, there are now more than 200 popular brands, including Nike, Apple, Target, Forever 21 and Buffalo Wild Wings, which give a percentage of every purchase made via a Campus Causes campaign to students’ designated causes. New campaigns were started at more than 70 universities this summer with new launches accelerating during the back-to-school season. Other groups leveraging Campus Causes can be found on more than 130 other campuses, including Duke University, The Ohio State University, the University of Alabama, Oregon State University, Texas A&M, Cornell University and Johns Hopkins University. In addition to numerous dance marathon groups, many collegiate sports teams, school clubs and Greek chapters are also quickly seeing the benefits of the shop-to-raise fundraising model. Campus Causes was founded by Newbridge Marketing Group to present students with a better way to raise more for their causes without the hassle or expense that comes with organizing and running fundraisers. Inspired and driven by those who are making positive impacts on their campus communities, Newbridge Marketing Group is proud to partner with FlipGive, the leader in Shop to Give fundraising, to provide a platform that will increase efficiency and success of campus fundraising across North America. Campus Causes is designed to be the go-to solution for campus groups, teams, clubs and individuals who are making a meaningful difference on their campuses through fundraising efforts and for brands who want to support good causes and give back to college communities. 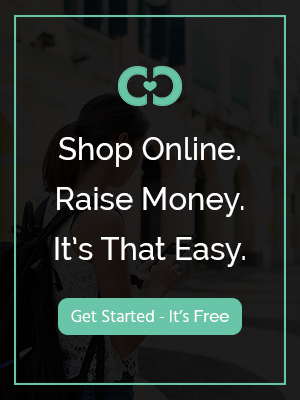 Based in Toronto, FlipGive is an online marketplace that connects millions of shoppers and brands through an innovative group fundraising platform. FlipGive’s shop-to-raise marketplace has revolutionized both grassroots fundraising and brand building opportunities by helping groups raise money with everyday shopping while driving sales, loyalty and positive social impact for brands.